Sean Cain of Blackbeard Ltd. has a reputation for designing without fear…bold and independent schemes for racecars that have become popular standouts at racetracks in Australia for WSS competitors like Glen Sutherland, Jamie Veal and the Milwaukee 17 of James McFadden to name a few. 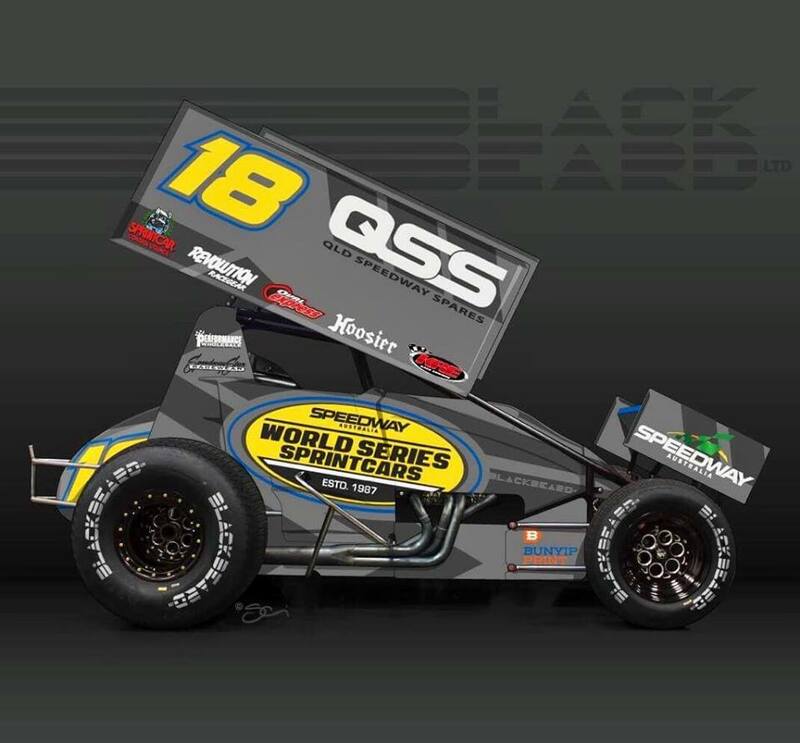 Now Blackbeard who is based in Washington State USA meets World Series Sprintcars with Cain flattered to design a car for WSS and the Series Partners. Wayne Meyer of Speedway Star has been instrumental in the project to provide fans a new-look range of clothing merchandise ready for this seasons World Series Sprintcars – SHOWTIME. The graphic depicting the mock WSS No. 18 Sprintcar (as in the year 2018) will be available via online prepaid orders with the aim of providing to the fans in the very near future and prior to the commencement of WSS31. Go to www.speedwaystar.com.au and place your order for the edgy charcoal (only) T.
Wayne has hinted a zip Hoodie will be available at the tracks once the series commences plus a new range of merchandise to celebrate the resurgence of World Series Sprintcars.